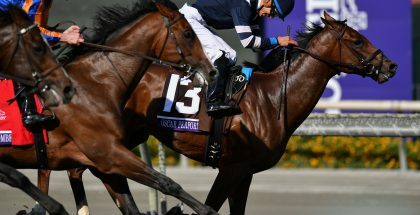 Saturday’s 90-minute ‘Summer at Saratoga’ program is the fifth of nine telecasts in the “Breeders’ Cup Challenge Series: Win and You’re In, presented by Lane’s End Farm and America’s Best Racing,” on NBC and NBCSN, featuring 16 “Win And You’re In” races plus other major stakes on the road to the Breeders’ Cup World Championships, November 4-5 at Santa Anita Park, and televised by NBC Sports Group. Saturday’s show will also be streamed live on NBCSports.com and NBC Sports app. Winners of these Challenge races, which combined offer more than $10 million in purses, automatically qualify for a spot in the Breeders’ Cup. Tom Hammond hosts the Travers broadcast, and will be joined by Hall of Fame jockey and analyst Jerry Bailey, analyst Randy Moss, reporters Kenny Rice and Donna Brothers and handicapper Eddie Olczyk. Daily Racing Form’s Matt Bernier will also serve as a handicapper. The Travers broadcast will also include live coverage of the Longines Sword Dancer Invitational, which will reward the winner an automatic berth into the $4 million Longines Breeders’ Cup Turf. While the Travers is not an automatic qualifier for the Classic, the 1 ¼ mile race is loaded with Classic contenders in November and should go a long way in clearing up a muddled 3-year-old picture. A win on Saturday by Big Chief Racing’s 3-1 favorite Exaggerator would go a long way in giving him a decided leg up for championship honors. Trained by Keith Desormeaux and ridden by his younger brother Keith, Exaggerator won the Santa Anita Derby in May, was second in the Kentucky Derby, won the Preakness and, after stubbing his toe when last-of-11 in the Belmont, came back to win the “Win and You’re In” Haskell on at Monmouth Park July 31 to earn an automatic berth into this year’s Classic. Standing in his way is a litany of contenders, making the Travers arguably the best 3-year-old race of the year. Southern Equine Stable’s Laoban, Jump Sucker Stable’s Governor Malibu and Eclipse Thoroughbred Partner’s Destin were 1-2-3, respectively, in the local prep, the July 30 Jim Dandy Stakes and all three have the credentials to win. Laoban, a son of 2010 Breeders’ Cup Juvenile winner Uncle Mo trained by Eric Guillot, picked the right time to win his first race when he led every step of the way over a game Governor Malibu, trained by Christophe Clement, who was fourth in the Belmont, two spots behind Destin, a son of Giant’s Causeway trained by Todd Pletcher who won the Tampa Bay Derby in March and seemed home free in the Belmont before being run down in the shadow of the wire by fellow Travers rival Creator. 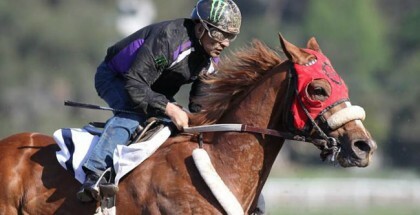 Trained by newly elected Hall of Fame Member Steve Asmussen, Creator won the Arkansas Derby at Oaklawn Park in April, but has been inconsistent. He finished 13th in the Derby and then won the Belmont. 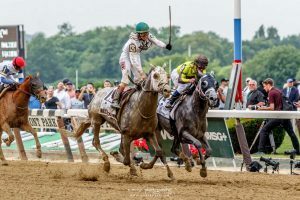 Ridden by Irad Ortiz, Jr., he needs to make amends for a lackluster performance in the Jim Dandy, when he was last-of-six horses the entire way. His stablemate, Ron Winchell’s Gun Runner should provide some pace, as he won the Louisiana Derby (GII) from up close at Fair Grounds in March and was a solid third in the Derby, though he was ineffective in the mud while finishing fifth in the Haskell. 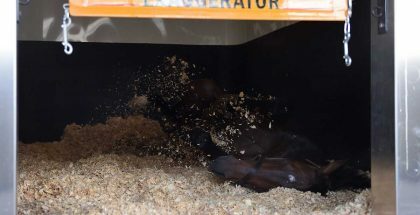 Last year, Triple Crown winner and Breeders’ Cup Classic winner American Pharoah, trained by Bob Baffert, lost just one race, and it was a hard-fought second to Keen Ice in the Travers. This year, Baffert brings two contenders to Saratoga in Mary West’s American Freedom, who was second in the Haskell, and newcomer Arrogate, a winner of three straight in California who will be making his stakes debut in the Travers.